nj arts maven: A holiday classic, live Foley sound effects, and a breathtaking way to kick off the holiday season! A holiday classic, live Foley sound effects, and a breathtaking way to kick off the holiday season! 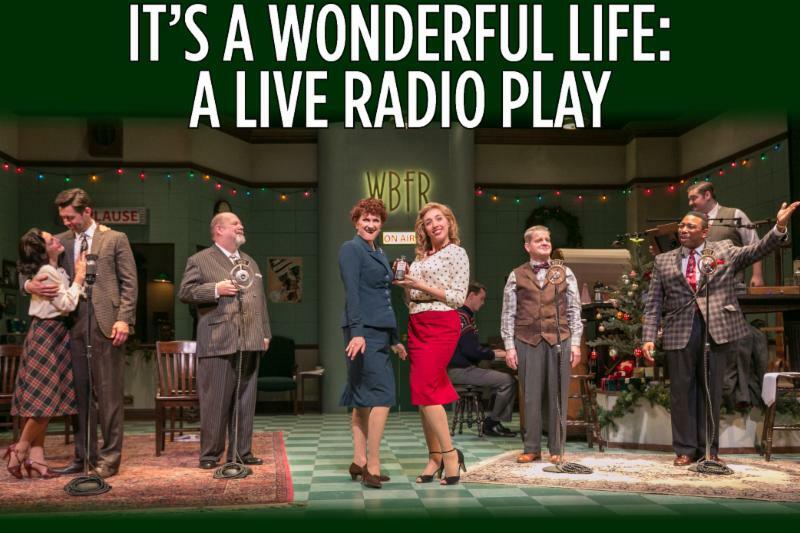 A group of actors and technicians gather in a 1940's radio station at holiday time to perform a live broadcast of It's A Wonderful Life. Replete with Foley sound effects, commercials from the era, and sprinkled throughout with a generous dose of music and humor, this charming piece brings the famous story to life in a new way and fills the theatre with the inspiring spirit of the holidays. Pictured: the cast of It's a Wonderful Life: A Live Radio Play. Photo courtesy of Jerry Dalia.